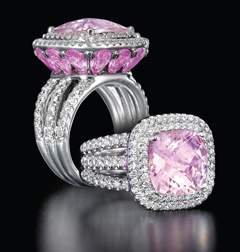 It’s not surprising that Charles Krypell was a sculptor before he became an internationally renowned jewelry designer. Looking at his exquisite, perfectly balanced jewelry, it’s clear that one artistic craft flows seamlessly into the other. A native New Yorker, Charles has created timeless jewelry for the sophisticated collector for three decades. He first realized his calling as a jeweler while attending the Pratt Institute in Brooklyn, NY. Trained as a sculptor, he enjoyed working in three-dimensional media, including stone. Charles soon realized, however, that it could take 30 years to master the craft of sculpture and become a success. 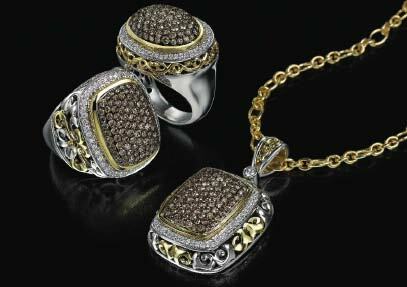 Once he discovered jewelry, he realized the smaller scale allowed him to design timeless pieces immediately. Constantly pushing the boundaries of design, Charles utilizes his sculptor’s eye, ample artistic talent, and keen insight into human nature to fashion one of the world’s premier jewelry lines. “A woman needs to be animated,” exclaims Charles. “She needs to wave her hands, live life to the fullest.” With this vision inspiring his work, Charles designs jewelry meant to be enjoyed from multiple approaches and dimensions, just like a piece of sculpture. “I want my clients to enjoy the piece at every single angle,” he explains. 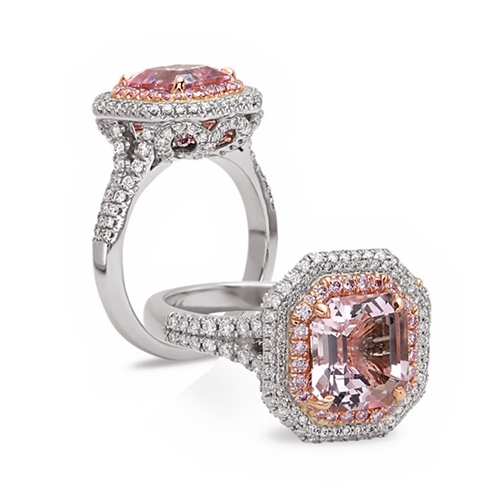 For example, the details on the pink diamond ring (shown on the homepage) encompass both the top and underside of the ring to create perfect flow, movement and balance. Charles focuses not only on the all-around design of the metal, but also on how it embraces the stone.